I'm a 20 y.o. frog ( Yep, I'm from France guys ! ), Student in Research in Sustainable development. I love point & click games, FPS ( Battlefield and specially Halo ), Driving simulations ( Forza Motorsport ), RPG ( All TES, Fallout 1, 2, 3, NV and soon 4 ), etc ... 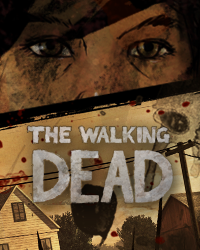 I discovered The Walking Dead thanks to my older brother and I fell in love in the universe created by Telltale. I'm also a PC & X360 gamer. I have TWD S1 on my PC and I bought the Season Pass of the Season 2 on my X360. What else ... I found, my X360 GT for who want to play fun with me : Fragmeister1793. I think it's all.